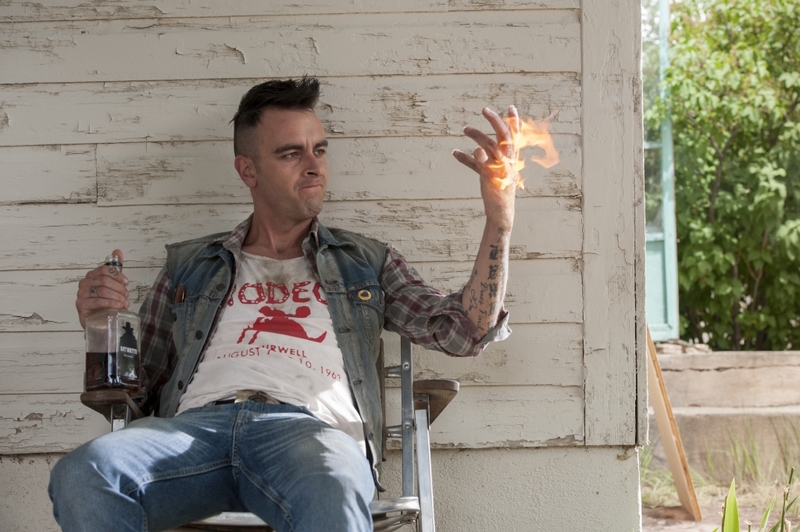 Joseph Gilgun plays perpetually soused, irrepressibly chatty, 119-year-old Irish vampire Cassidy in AMC’s comic book adaptation Preacher. On the run from some persistent Van Helsing wannabes, Cassidy dropped (literally, from a plane flying 30,000 feet above the earth) into Annville around the same time that Rev. Jesse Custer (Dominic Cooper) became possessed. And the pair became fast drinking buddies. As delinquent Rudy Wade in the hit British sci-fi dramedy Misfits. 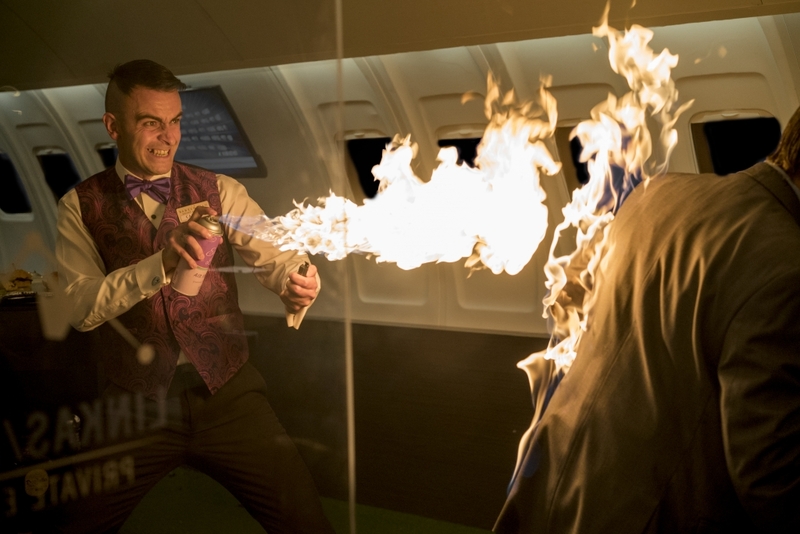 The freak electrical storm that endowed the show’s young characters with superhuman skills gave Rudy the troublesome ability to split into multiple personalities, whether he liked it or not, requiring Gilgun to play three parts. Audiences might also recognize him as antifascist skinhead Woody from the 2007 film This Is England. Gilgun, whose first role at age 10 was playing a cheeky tearaway on the British soap opera Coronation Street, knows the type—and adds to it with his unique devil’s brew of soulfulness and malice. With just the flick of an eyebrow, Cas will go from mocking Jesse to feeling the reverend’s pain. The 32-year-old actor is notoriously hard to get in contact with, often only reachable by beeper. In fact, Preacher producers had such trouble tracking Gilgun down to ask that he read for the part, they nearly gave up. Preacher, Sunday, July 10, 9/8c, AMC.